George is back! 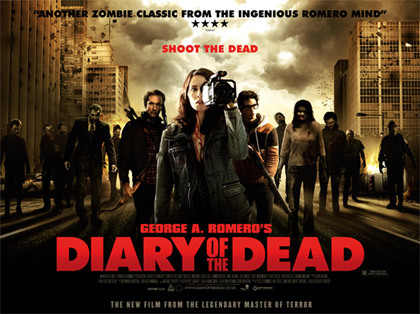 Zombie fans rejoice, for March 7th sees the theatrical release of George A. Romero's Diary of the Dead from Optimum. 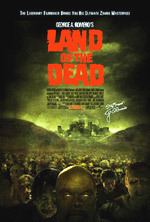 We saw the film back in October at the Film 4 FrightFest ICA all-nighter, and can safely say it's a marked improvement on his last zombie entry, Land of the Dead. 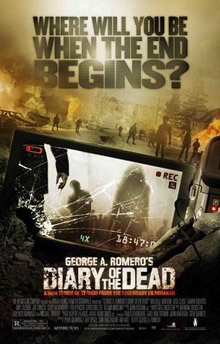 With a stripped back indie approach, George has returned to his roots and, by ignoring any continuity from any of his previous four 'dead' films, has 're-invented' his zombie mythos for the Internet generation. 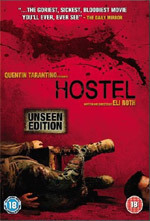 Scroll below for the trailer plus several download links, more details on the synopsis, pictures and the official site. Jason Creed and a small crew of college filmmakers are in the Pennsylvania woods making a no-budget horror film when they hear the terrifying news that the dead have started returning to life. Led by Jason's girlfriend, Debra, the frightened young filmmakers set off in a friend's old Winnebago to try to get back to the only safety and security they know: their homes. But there is no escape from the crisis, nor any real home for them anymore. Everything they depend upon, all that they hold dear, is fractured as the plague of the living dead begins to spread. For more information, visit the official website at www.diaryofthedead.co.uk.